The Poplar Bluff Republican is a second-generation lawmaker. His father, Mark Richardson, served in the House GOP leadership in the 1990s, a time when Republicans had been in the minority for years. Now, Richardson is the second most powerful lawmaker in a chamber dominated by his party – and has the inside track to become the next speaker of the Missouri House once House Speaker John Diehl, R-Town and Country, departs due to term limits. Even before he won his leadership post, Richardson was widely considered one of the House's most capable and influential lawmakers. He handled a comprehensive overhaul of the Second Injury Fund, bringing to the finish line a priority that had bedeviled lawmakers for years. He was also the sponsor of Amendment 10, which gave lawmakers veto power over gubernatorial withholds. He learned from his father not to treat the opposing party disrespectfully, especially since electoral fortunes can turn big legislative majorities into minorities. This may be the earliest time in recent memory the House has approved the Missouri budget. It’s possible that lawmakers are hoping to time passage of the budget with being able to override any withhold Gov. Jay Nixon may make. Litigation is possible, even likely, if Nixon tries to “extend” bonds paying for the Edward Jones Dome as a way to finance a new riverfront football stadium in St. Louis. Sen. Eric Schmitt’s bill to limit the percentage of fine revenue a city can have in its budget is a major priority in the Missouri House. State Rep. Paul Curtman, R-Pacific, is expected to handle the legislation that could be one of most significant legislative byproducts from the unrest in Ferguson. 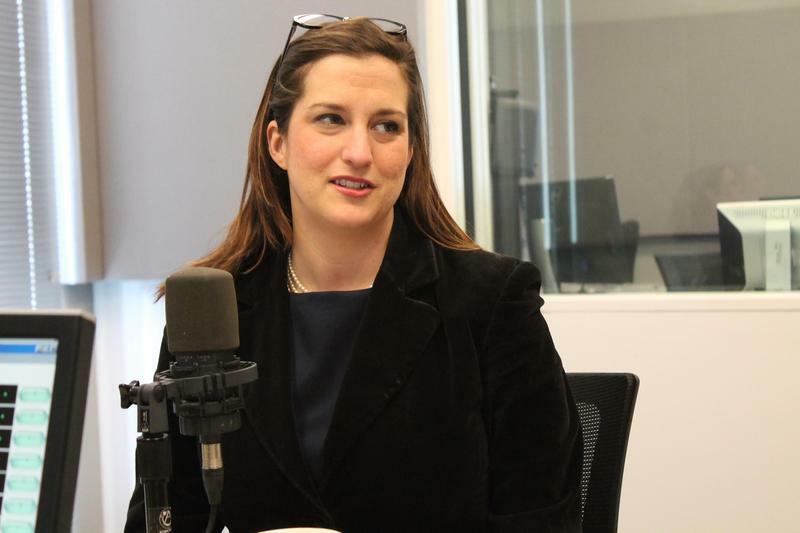 On this edition of Politically Speaking, St. Louis Public Radio’s Jason Rosenbaum, Jo Mannies and Rachel Lippmann welcome Mary Ellen Ponder to the show. Ponder was recently appointed chief of staff for St. Louis Mayor Francis Slay, replacing Jeff Rainford. She is the first woman to serve as chief of staff for a St. Louis mayor. On this week’s edition of Politically Speaking, St. Louis Public Radio’s Jason Rosenbaum, Jo Mannies and Tim Lloyd welcome St. Louis County Assessor Jake Zimmerman to the show. Zimmerman grew up in St. Louis County — attending Clayton schools — before attending Claremont McKenna University and Harvard Law School. He worked for Attorney General Jay Nixon and former Gov. Bob Holden before getting elected to a state House seat in 2006. The Politically Speaking podcast team – Jason Rosenbaum and Jo Mannies – this week welcomed state Sen. Will Kraus, R-Lee’s Summit and a 2016 candidate for Missouri secretary of state. But first, the duo joined Jefferson City correspondent Marshall Griffin in commemorating the late state Auditor Tom Schweich, who died last Thursday from a self-inflicted gunshot wound. A memorial service is to be held Tuesday at his church in Clayton.